In the nineteen fifties it became possible to easily own a dinghy. Build yourself designs proliferated so that wherever there was a bit of sailable water, sailing clubs were formed to exploit it, Harwich was an ideal place for this exploitation.�The local town council caught on to this and had a ramp constructed to enable small boats to be launched from the Harwich beach.They also fenced off an area adjacent to the beach for a boat park. The scene was set to form a dinghy club, so at an initial meeting organised by John Lovely and John Dedman in late 1960 the consensus was to go ahead. 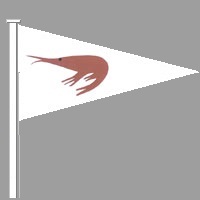 As the established local sailing club had neither the facilities, or the interest to cater for racing dinghies, the way was clear to for a new club, the Harwich Town Sailing Club to be formed and it started accepting members in February 1961. Over the years the Club has produced some very good sailors. An early national champion was Brian Vincent in the Cherub class. Brian was an experienced sailor when the club was formedhowever two notable champions learned to sail in the Club, David Reason as National and International Champion in the Condor catamaran class and Andrew Webb as current National Championin the Hurricane 5.9 catamaran class. Andrew has previously been European and National Champion on numerous occasions in that class. Racing is at the heart of developing good sailors and the Club's season starts in April and finishes with the now traditional Boxing day Race, included in the programme there are the normal dinghy races with a few novelty events thrown in, as well as is a series of cruiser races in which the Club is joined by the Harwich and Dovercourt Sailing Club. The Club has had it's periods in the doldrums but is now once again a very vibrant club with a lively social side for the families and non sailors. With the Youth training, under our own qualified RYA instructors, the future of the Club can only go from strength to strength.